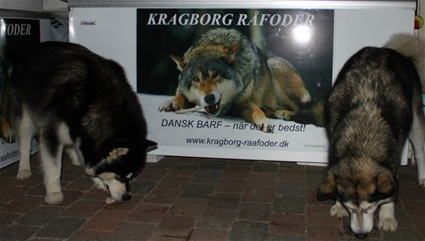 Det vil mest handle om Alaskan Malamutes, men også om hunde generelt - måske andre dyr - men selvfølgelig også vores katte. Intet er færdigt - og bliver det nok heller aldrig så der vil hele tiden komme nyt til. Som du vil opdage, er der også artikler på engelsk - for evt hurtigt at kunne oversætte (sådan nogenlunde ), kan det anbefales at downloade Google Chrome , som har indbygget oversættelsesmulighed i menuen. God was allowing Adam to name all the animals, trees, etc…, but there was a small creature following God and Adam through the Garden and as they got to the end, the creature got their attention. “You have run out of names,” he pointed out. “There’s not one left for me.” God looked down and smiled at the little animal. “I have saved the best for last,” he explained. “I’ve turned my own name back to front, and called you dog. With nary a thought of the dog in their heads. Knew he was cold, but who cared about that? The dog must be loose; he's into the trash! But Santa Claus with eyes full of tears. Last year's Christmas gift, now thin and sick. And the dog went right to him, despite all his pain. Now DASHER, Now DANCER, Now, PRANCER and VIXEN! To the top of the porch! To the top of the wall!! Let's find him a home where he'll be loved by all!! I knew in an instant there were no gifts this year. For Santa had made our mistake very clear. We had gotten a pup for all the wrong reasons. There was something important that we had missed. A dog should be family, and cared for the same. "YOU WERE NOT GIVEN A GIFT!! YOU WERE GIVEN A LIFE."